It’s spiralize time yet again, and this time we’re making Spiralized Sweet Potato Fries (that just so happen to be perfectly crispy!) Oh, and I happened to make a curry aioli sauce as a topping for these sweet potato fries, too. You just happen to be scoring really BIG right now. It has been such an exciting week for me. 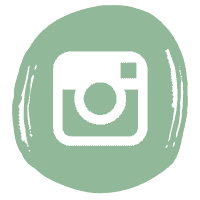 I was given the opportunity to takeover the Whole30 Instagram page for the entire week! 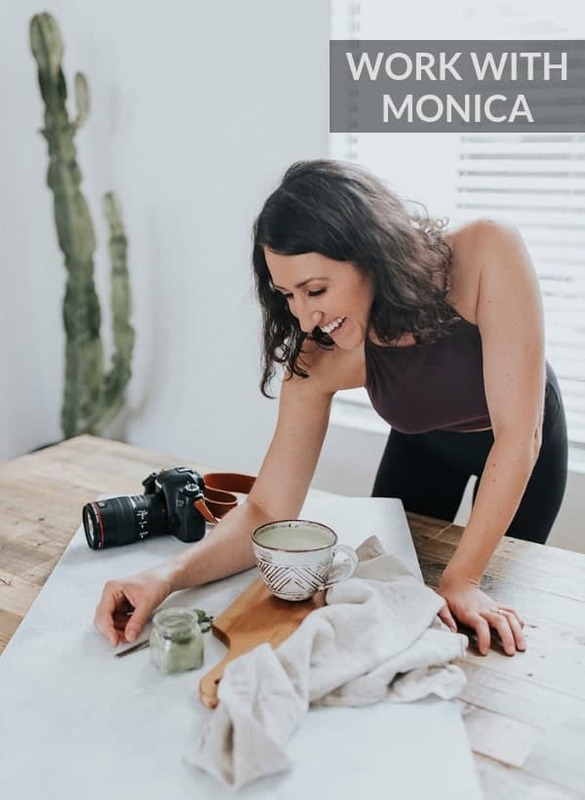 I was able to share my favorite Whole30 compliant recipes, shopping tips & tricks, and ingredient meals with their community and it proved to be incredibly rewarding. Let me tell you something: THAT is a community that they have going on. 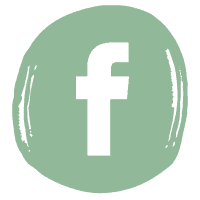 If I posted anything that may have been in a “grey” area, people were quick to call me out and ask me follow-up questions. No, I didn’t get annoyed. Quite the opposite, actually- it made me really excited to see how passionate people are about eating well and sticking to the foundations Whole30 has laid out. There was an open line of communication created between myself and their readers, and I hope that my week of sharing made (at least some) peoples’ journeys more enjoyable and delicious. It was right before I started the takeover that I had made spiralized sweet potato fries. They turned out even more delicious than I imagined they would be. I didn’t get a chance to post the recipe before my takeover, so they’re showing up fashionably late to the party. 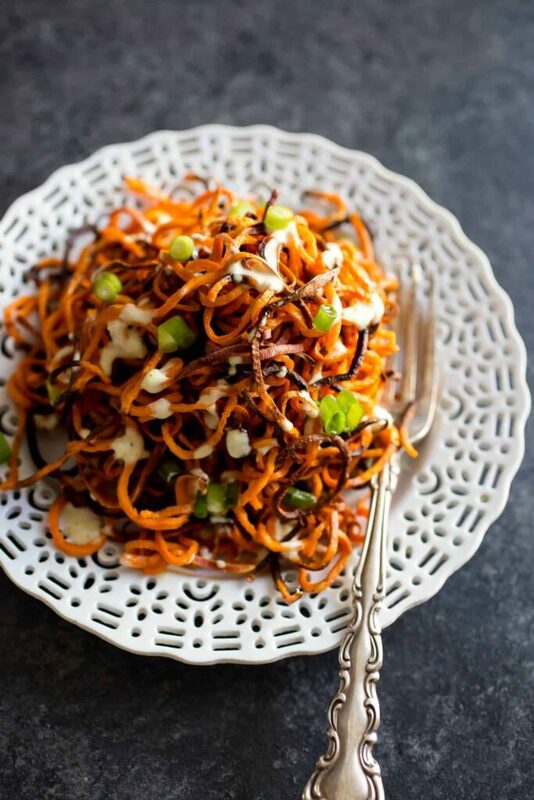 That’s okay though because these spiralized sweet potato fries are the guest of honor. In fact, they’re the most beautiful girl in the room, at that party. I’m not sure when or why I decided that spiralized sweet potato fries had a gender, but I do know why they’re female. They’re equal parts: gorgeous, sassy and powerful. They’re packed with yummy nutrients like Vitamin C, Vitamin B6 and manganese. The curry aioli sauce they’re topped off with is just an insane accompaniment to really bring these fries to another level of stardom. The curry aioli sauce is made with the Homemade Paleo Mayonnaise I posted about last week (did you guys see my first recipe video?!) Be sure to check it out- I had a blast making it! 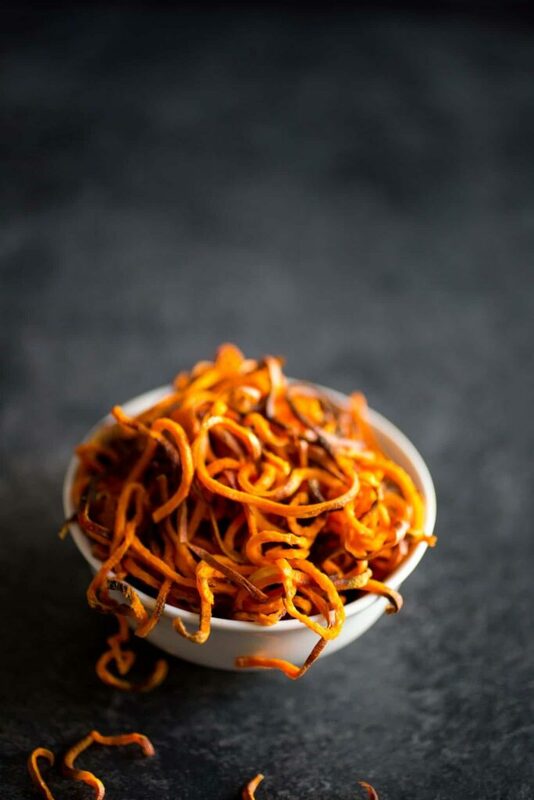 If you’re having guests over who may be have never tried spiralized roots or vegetables before, be sure to make these spiralized sweet potato fries. They will be completely over the moon about them and will probably leave with your Inspiralizer in hand. Oh, and they’ll definitely ask for seconds and thirds. They won’t be shy! 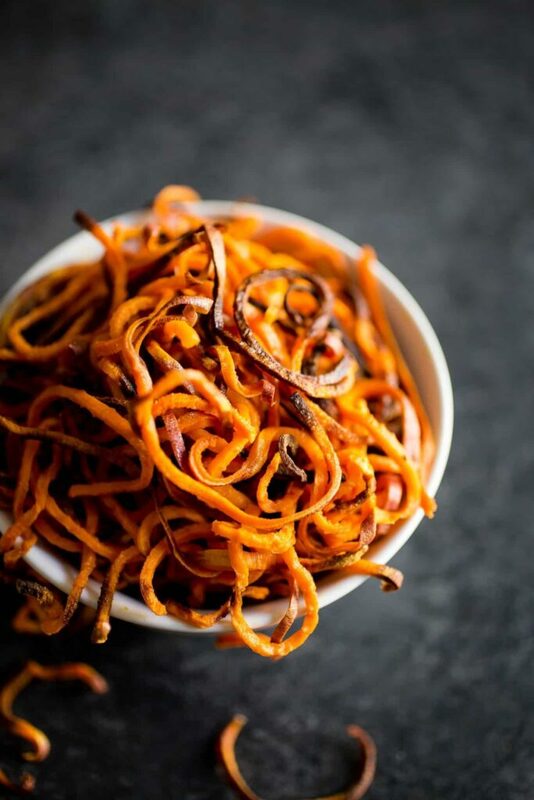 It’s spiralize time yet again, and this time we’re making Spiralized Sweet Potato Fries (that just so happen to be perfectly crispy!) Oh, and I happened to make a curry aioli sauce as a topping for these sweet potato fries, too! Oven baking times may vary, as all ovens are slightly different. Keep an eye on the fries, and as soon as they start looking light brown around the edges, pull them out! Preheat oven to 400 degrees Fahrenheit and line a baking sheet with aluminum foil. Set aside. Thoroughly scrub the sweet potatoes and dry them well. Cut off each end to make a flat surface to attach to the prongs of the Inspiralizer. Secure Inspiralizer to the counter top with the designated suction cups and clamps and attach the potato, centered and parallel to the countertop. Be sure to place the larger end on the prongs. Twist the handle to make the fries. If your fries aren't spiralizing into long spirals anymore, reattach and center your potato again. Clean out potato and remove core from the spiralizer. Drizzle sweet potato fries with avocado oil and lightly toss to coat. Sprinkle the herbs & seasonings on top. Give the spiralized potatoes another toss to make sure they're covered with the seasoning. Cook at 400 degrees for 25-30 minutes. At the 25 minute mark, check on the fries. If there are spirals that are turning brown, take them out immediately and transfer to another baking sheet or wire rack. Continue to cook the rest of the spirals until they begin to crisp up. Check on them every couple of minutes until they are all cooked through. Let cool for 10 minutes. As they cool, they will crisp up more. Serve right away. The only way I can comment is by replying, sorry Tracey! Couple of things. If you want unbelievably sweet tasting fries, don’t wait for it to preheat to 400. Sugar molecules only carmelize up to 350 degrees, so if you wait for the oven to get to 400 you won’t have that reaction. Second point, if some are burning and others are not, rotate your pan as ovens have hotspots. Also I cover with foil the first 10 minutes. Great recipe! These were delicious! I used a full 8oz of sweet potato, spiralized with my 3mm (1/8-inch) attachment. I took mine out after only 12 mins and they were nicely browned, mostly crispy and perfectly seasoned. That sounds AMAZING. I am so happy they turned out well for you. Enjoy!!! Delicious!! Wish I had made more!!!. 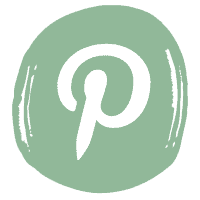 What brand spiralizer did you use? My was hard to turn and the fries were very skinny. Hi there. I use the Inspiralizer. My old paderno spiralizer couldn’t handle sweet potatoes very well, so I upgraded. It’s the best spiralizer I’ve tried!!!! That makes me so incredibly sad to hear! All ovens are different so maybe they needed a little extra time in the oven… I will change the instructions to reflect that, but they shouldn’t be limp! Yeah, I’m sure they were releasing a lot of moisture in the refrigerator. I would try again! I had bad luck with these. Half were burned to a crisp, the other half were limp and sad and never firmed up. I was so hopeful. What size insert do you recommend for the spiralizer? I used the largest thinking that would reduce the risk of burning. 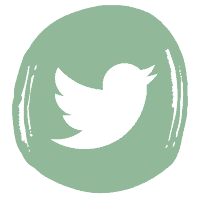 I spiralzed on the smallest setting. You’ve inspired me to redo the recipe and check for any errors. I’m so sorry this happened… can I report back? This recipe sucked. Followed the instructions and they were total mush! I’m really sorry this happened. I haven’t experienced that before… you were checking on them while they were in the oven, and they just never crisped up or what? We made these too following the instructions exactly and the fries were limp and mushy as well, though still tasty. We increased the temperature to 425 but that didn’t help. Just made these and the flavor was awesome. Perfect seasonings to balance the sweet potatoes. I had some burning after about 10 minutes… So had to check every few minutes toss and pull out the ones that were done. It was a pain but they were tasty. I did not make the aoli and they really didn’t need it. May need to experiment to see what can be done to get them to cook evenly. Hello, great recipe made it about a month ago, delicious. How thick do you recommend they be cut? I used a thick setting, but may try thin today. Thx very much for the help.